Qatar's Foreign Minister Mohammed bin Abdulrahman Al Thani has slammed the alleged threats made by Saudi Arabia over the purchase of Russian S-400 air defense systems in an interview with Al-Jazeera. He pointed out that Riyadh has no right to interfere in Qatar's domestic affairs. "The purchase of any military equipment is a sovereign decision that no country has anything to do with," Al Thani said. He also branded the threats reportedly made by the Saudis in a letter to the French president as "reckless behavior" on the part of Riyadh, which is violating international norms and agreements. "There is no legitimate grievance behind this letter and threatening Qatar. It's violating international law. It's violating all international norms. More importantly it is violating the GCC [Gulf Countries Cooperation] charter," the Qatari foreign minister noted. Al Thani noted that Qatar presents no threat and that Saudi Arabia has "no legal basis to justify" military action against it. At the same time, the Qatari foreign minister said that Doha is currently expecting official confirmation of the letter's contents from the French government, which is due to be received on June 6. 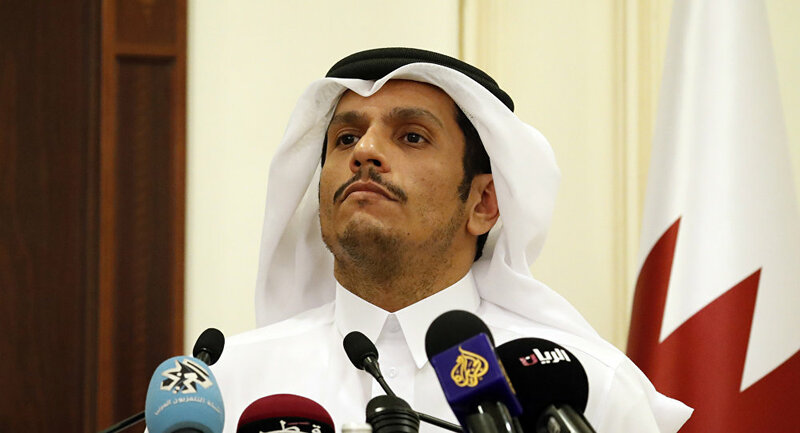 Al Thani promised that in case its contents are confirmed, Doha will take legal action, "as a country that is not violating international law." He assured that Riyadh's reported threat will not affect Doha's defense choices and that currently "all options are open." "This is a subject to evaluation of the military people. It is not a decision, which will be taken in light of a threat," Al Thani added. The Saudi king has allegedly written a letter to French President Emmanuel Macron, asking him to help prevent the sale of a Russian-made S-400 air defense system to Qatar, Le Monde reported. The king purportedly also warned that otherwise, Riyadh may have to resort to military means in order to destroy the systems. There has been no confirmation of the letter's contents so far. Relations between Doha and Riyadh took a nosedive a year ago, when Saudi Arabia imposed what Qatar calls a "blockade" along its land and maritime borders, as well as expelling all Qatari citizens from the kingdom over allegations of funding terrorism.